Baseboard heating is a system of heating similar to radiant heat. This system uses hot water heated by a boiler to heat a space by a combination of radiation and convection. Baseboard hot water heating system works on the basic principle that heat rises. How does the baseboard heating system works? The Radiators that bring warmth into the room are installed low to the floor, along the baseboard. Water is heated in a boiler tank in the utility room in the same way as it is heated for your hot water, either by natural gas, propane, oil or electricity in a system separate from the water heater that supplies your plumbing system. This hot water is then pumped by an electric motor driven pump through the house normally in a series system. The baseboard heating system works on one fact of physics – Anything heated expands. Thus water is no exception. When the water is heated it expands. If there was no place for the expanding water to go it would build up pressure in the system and eventually burst out the pipe fittings. Thus the designers understand this basic principle and design an expansion device into the system. It is normally a large tank installed in the system which contains air. Since air is compressible and water is not so when the water expands it simply moves into the expansion tank and compresses the air. They also provide a relief valve installed in the system in the event that the air in the tank leaks out and/or is replaced with 100% water. Generally, the boiler temperature is controlled internally so that heat is available instantly when it is called for by the room thermostat. When the room thermostat calls for heat, a signal is sent to the circulation pump which is turned on and begins circulating hot water through the house. It has closed temperature control. The Baseboard heating is one of the best heating systems around if it is properly installed by professionals and skilled technicians. We can guide you as to which is more economical as per your geographical locations. 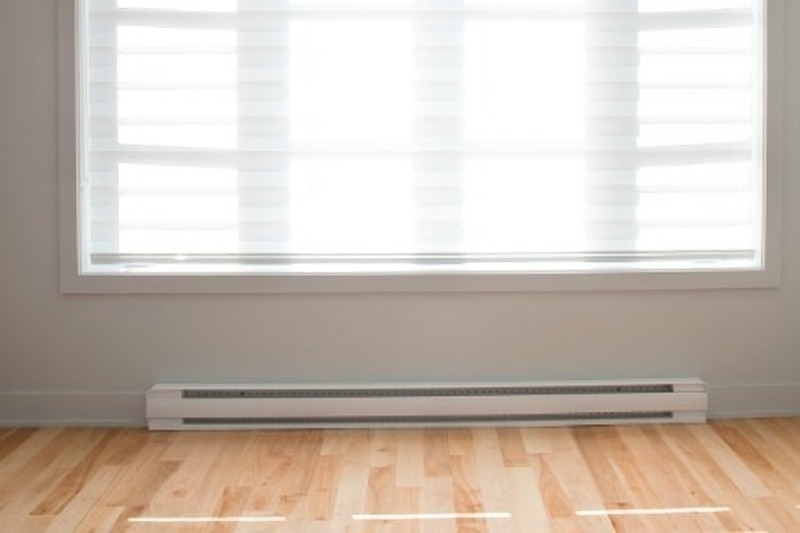 Basically, we provide services to two types of baseboard heating that our clients use. Both these baseboard heating systems are excellent and can give utmost comfort if properly used and installed. Hot water baseboard heating systems are comparatively inexpensive to operate because water is a more effective heat transfer medium than air. If the boiler is 80% to 85% efficient, you can actually deliver heat to all the rooms of your home. We provide all services like installation, maintenance and repairing leaks, cleaning deposits from the lines etc. Overall, baseboard heating provides comfortable and effective heating, but the key lies in using it effectively and installing from our experts in areas where it is economically feasible. Call us or contact us for our expert guidance and services.